The species is broadly distributed in North-eastern Turkey, Western Iran, and Southern Transcaucasia. It is monotypic and is found only in two spots - Khosrov Forest Nature Reserve and Zangezur Mountains. The record in Khosrov Forest was made before 1997 and requires confirmation of species' proper identification. In Zangezur Mountains the species inhabits mountain steppes and meadows at the elevations from 2000 to 2400 m a.s.l. 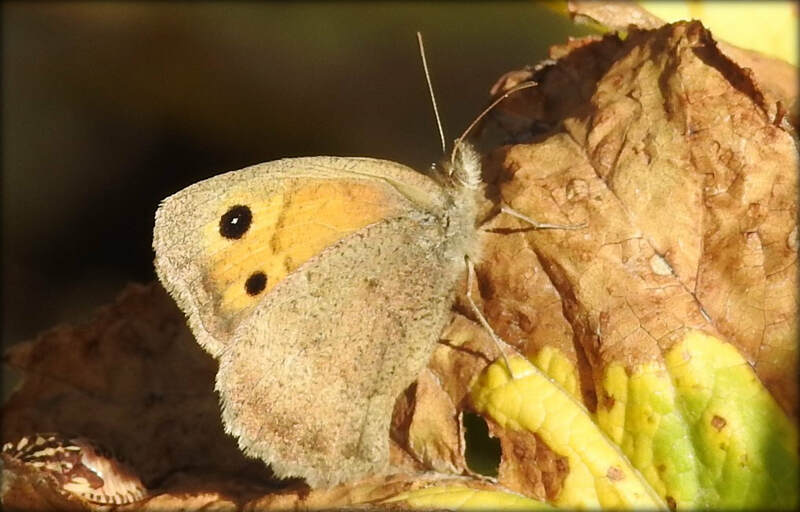 The knowledge on species biology is rather scarce and from several specimens it is possible to presume that it gives one generation per year, having butterflies on wing from mid July to mid August. The species is uncommon to rare within typical habitat. The limited number of records does not allow proper computation of the species' population trend. It is known, though, that there is an ongoing Hydro Power Plant project in that gorge, and there is no assessment on how is it going to influence the local unique fauna of butterflies, which includes such regional endemics as Polyommatus myrrha cyniraea, Pseudochazara daghestana zangezura, Argynnis alexandra, and number of others. The species is not included in the Global, European, and National Red Lists, as well as in CITES and Bern Conventions. 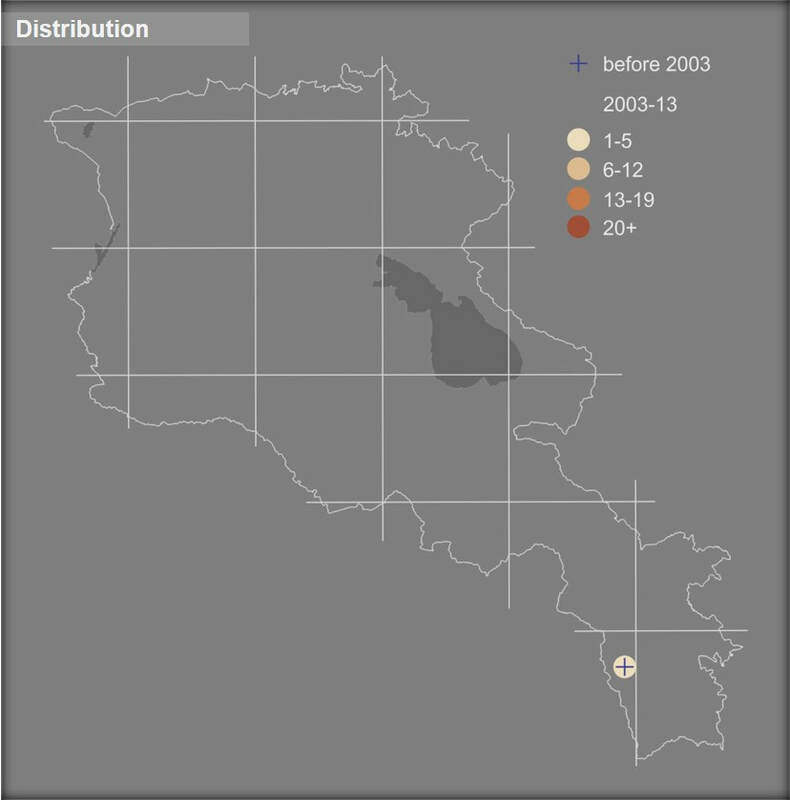 Preliminary assessment of its conservation status for Armenia suggests it as a Data Deficient. At current the known distribution range in Zangezur Mountains is covered by Zangezur Biosphere Complex and Emerald Site Zangezur, however the other possible range of the ​species in Armenia is not yet clarified and even not known. The current range of the species is included in Prime Butterfly Area Kajaran. That is why among conservation measures it is firstly proposed to: (1) study its distribution, abundance, biological peculiarities, and threats; (2) assess the species for the next edition of Red Book of Animals of Armenia planned for 2020; (3) develop a management plan for the Emerald Site Zangezur, using also Kajaran PBA for promotion of butterfly-watching in this area, thus supporting in sustainability of local communities; (4) secure proper assessment of the Hydro Power Plant project, which should include modelling of its influence on the local communities of plants and insects.